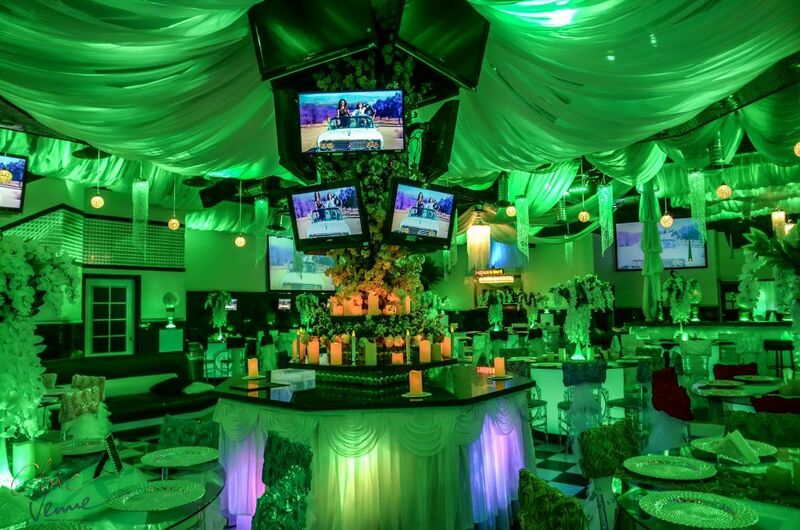 Inside you can explore our Dining, Luxury Bar and Stage Area, Dance Floor, Gift Area, Gorgeous Entrance. Full sized Kitchen is accessible to our guests and caterers. Experience a Grand Entrance from the Beautifully Landscaped 1000 sqft Outdoor Patio Area. Red Carpet & Rope Station. 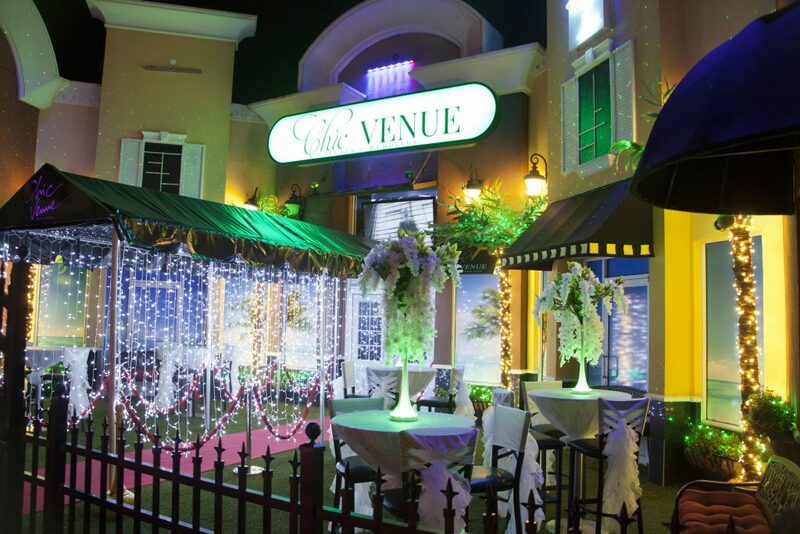 Modern, Refined, and Versatile: Chic Venue in Tampa Bay provides a vibrant, mood-lifting atmosphere to ensure your upcoming affair is a memorable experience. 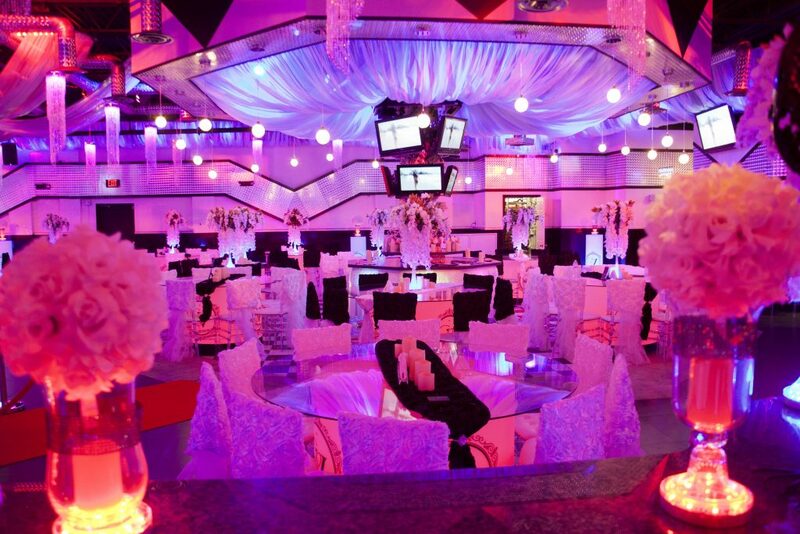 Our facilities can accommodate 200 guests for many types of events ranging from Receptions, Private Parties, Birthdays, Sweet Sixteen, Quinceañera, Graduation, Banquet, Celebration and Photo/Video Production. 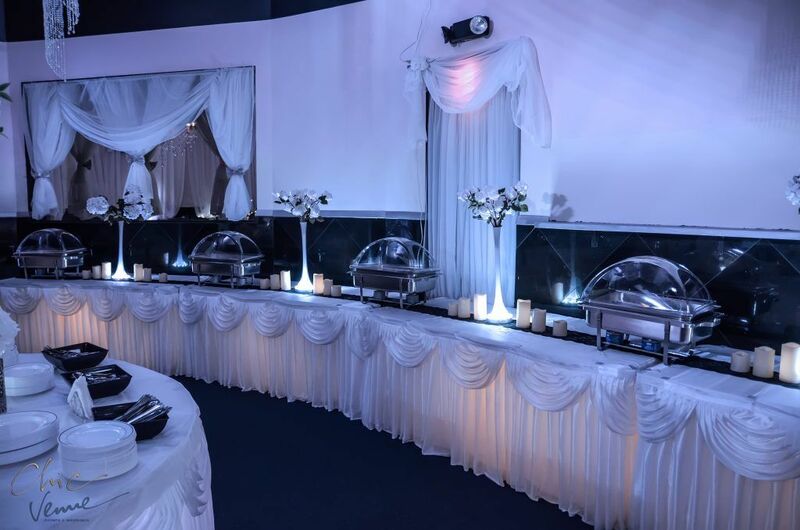 Our open-floor, spacious 7000 square feet venue allows you to configure the interior as you need in order to satisfy your vision plus our big 1000 square feet patio. 20 round LED-illuminated Tables and 10 LED Cocktail Tables come with every package. 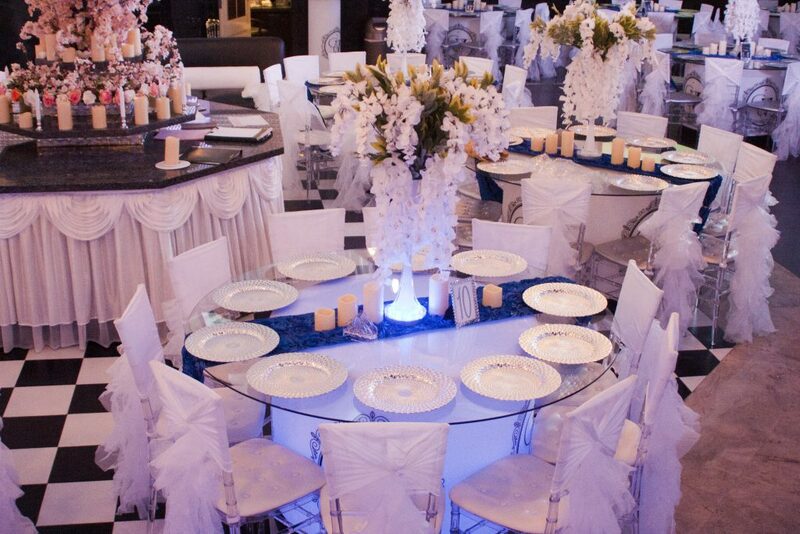 200 Crystal Chiavari Chairs, Runner Table, Cover Chairs, Digital LED lathing LED Central Floral Vase, are also included in your rental. 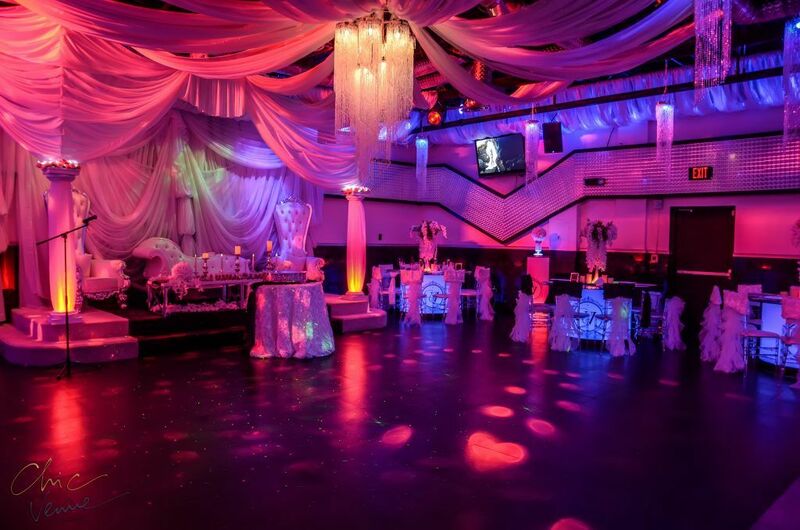 Our dance floor packs over 500 square feet of open space, so the whole party can show off their best moves. 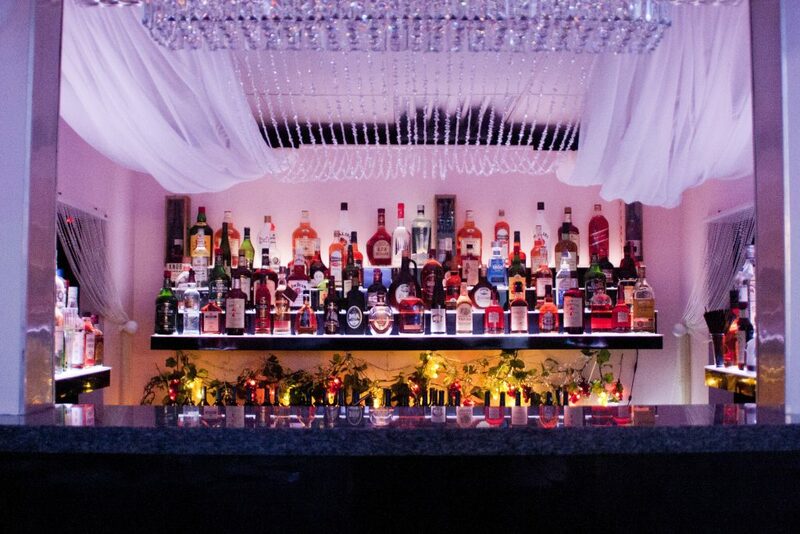 Guests will appreciate our Stunning LED-Illuminated Bar. You can either enjoy beer and wine with your guests or celebrate the occasion with cocktails. Refrigerated Wine & Cooler Beer. 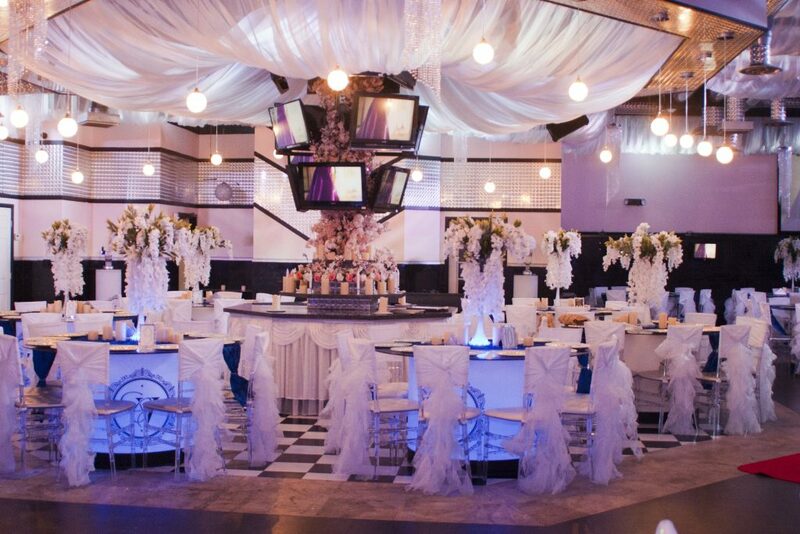 Chic Venue provides a full-sized kitchen in order to make sure any extra catering needs are met. You will have full access to refrigerated wine rack. We also have a list of preferred caterers, however we have worked with most of the top caterers in the area and would be happy to provide suggestions. Our professional-grade sound system allows for connection to all devices whether you plan to bring your own DJ or assemble your own playlist. Bundled with Apple TV and Google Chromecast so you can stream all of your favorite music with ease. 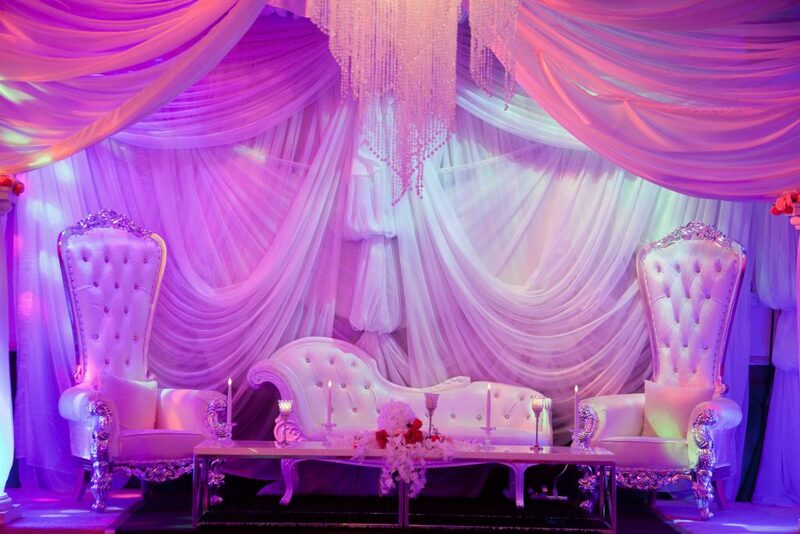 Utilize our professional sound system included in your package. Your upcoming event will be designed to meet your specific needs. Just minutes away from the University of South Florida campus, our venue is located in North Tampa with convenient access to I-275. Parking lot is accessible up to 125 vehicles.